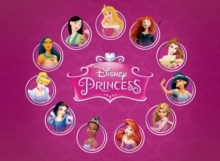 Collection of eleven Disney animated films. In 'The Princess and the Frog' (2009), set in the French Quarter of New Orleans, Prince Naveen (voice of Bruno Campos) is transformed into a frog by the evil voodoo man Dr Facilier (Keith David) and goes in search of a princess to break the spell. 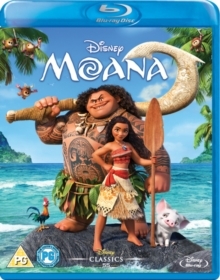 He finds a young African-American girl called Tiana (Anika Noni Rose) and, mistaking her for a princess, asks her for a restorative kiss. Things, however, don't go to plan when the kiss only succeeds in changing Tiana into a frog, too. The two unfortunate amphibians go on a journey together, hoping to find a way out of their predicament, and meet some new friends along the way. In 'Brave' (2012) headstrong tomboy and skilled archer Princess Merida (Kelly Macdonald) is determined to break with tradition and carve out her own path in life. In defiance of her parents, King Fergus (Billy Connolly) and Queen Elinor (Emma Thompson), Merida flies in the face of an age-old custom held sacred by the three principal lords of the land. Her actions lead to chaos in the kingdom, and it is now up to Merida not only to restore harmony in the land but to undo an ill-fated wish bestowed upon her by a wayward wise woman (Julie Walters). In 'Cinderella' (1950), enslaved by her wicked stepmother and two ugly sisters, the beautiful Cinderella (Ilene Woods) seems destined to miss the glittering party at which the Prince (William Phipps) will choose his bride. In 'Sleeping Beauty' (1959) a curse is placed upon Princess Aurora (Mary Costa) by the evil fairy Maleficent (Eleanor Audley) and the girl falls into a deep and endless sleep on her 16th birthday. Only a kiss from Prince Phillip (Bill Shirley) can wake her, and three good fairies set out to engineer that event. In 'Beauty and the Beast' (1991), when a prince (Robby Benson) is turned into a hideous beast by a magical spell, he finds that the only way out of his predicament is to win the love of the beautiful Belle (Paige O'Hara). Belle agrees to come and stay at his home in exchange for the freedom of her father, whom the Beast had previously imprisoned for trespassing. At first she is repulsed by the Beast's hideous features, but as time passes Belle learns to recognise his true inner beauty. 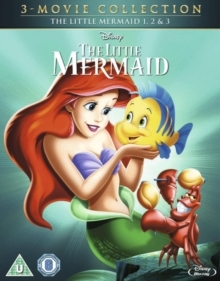 In 'The Little Mermaid' (1989) Ariel (Jodi Benson) is the mermaid daughter of King Triton (Kenneth Mars) and lives beneath the waves. However, she longs to see the world above, especially after rescuing a handsome prince from drowning. To this end she makes a deal with sea witch Ursula (Pat Carroll): Ariel can live above the sea in exchange for her beautiful singing voice. She soon regrets her decision, however, when it transpires that her father's kingdom is at risk. In 'Pocahontas' (1995) Native American girl Pocahontas (Irene Bedard/sung by Judy Kuhn)'s life, and that of her tribe, is dramatically changed by the arrival of a shipload of English settlers. Amongst them is the charming adventurer Captain John Smith (Mel Gibson) and a romance blossoms between him and Pocahontas. However, their love is put to the test when the tribesmen and the settlers decide to go to war. In 'Mulan' (1998) Ancient China faces invasion by the barbarian hordes of Shan-Yu, and calls all able-bodied men to arms to defend their Emperor. 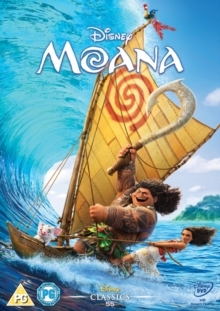 Mulan (Ming-Na Wen/sung by Lea Salonga) disguises herself as a boy and joins up in her aged father's place, accompanied by her protectors: guardian dragon Mushu (Eddie Murphy) and lucky cricket Cri-kee (Frank Welker). Mulan trains under the handsome Captain Shang (B.D. Wong/sung by Donny Osmond), with whom she soon falls in love, and shows herself to be a capable warrior. When Mulan is wounded in battle, however, the secret of her gender is discovered and she faces exposure and disgrace. In 'Aladdin' (1992) Aladdin (Scott Weinger/sung by Brad Kane), a street urchin with a pet monkey called Abu, one day meets the beautiful Princess Jasmine (Linda Larkin/sung by Salonga) by chance in the marketplace after she has sneaked out of the royal palace. The sultan's advisor, the evil Jafar (Jonathan Freeman), who is hatching an evil plot to marry Jasmine and become sultan himself, senses her attraction to the youth and immediately gives orders to throw Aladdin in jail. 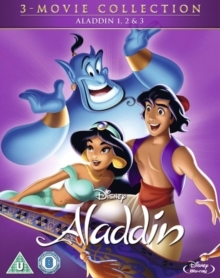 But when Aladdin discovers a magic lamp in a cave, his quest begins: to defeat Jafar and win the hand of the princess with the help of the Genie in the lamp (Robin Williams). In 'Tangled' (2010) handsome young bandit Flynn Rider (Zachary Levi) is surprised to discover that a seemingly abandoned tower deep in the forest does in fact have an occupant in the form of feisty long-haired teen Rapunzel (Mandy Moore). Rapunzel, who has been looking for a means of escape from the tower in which she has been grounded for her entire life, strikes a deal with the dashing outlaw and the unlikely pair soon find themselves caught up in the adventure of a lifetime. In 'Snow White and the Seven Dwarfs' (1937) Snow White (Adriana Caselotti) is born pure and beautiful, so beautiful that her evil stepmother orders a huntsman to take her into the forest and kill her. However, the huntsman takes pity on the young beauty and sets her free. Alone and lost in the forest, she soon meets a group of kindly dwarfs who provide her with friendship and a place to sleep.